Prof. Gabriella Bosco is an Associate Professor at Politecnico di Torino, Italy, where she teaches classes on signal theory and digital communications. Her main research interests are focused on fiber optics transmission systems. She is a member of the Academic Senate of Politecnico di Torino. She is Editor-in-Chief of the IEEE/OSA Journal of Lightwave Technology and General Chair for the conference OFC 2019. Gabriella Bosco was born in Ivrea, Italy, in 1973. She received the Degree in Telecommunication Engineering in 1998 (with a thesis on the non-linear effect of the propagation in WDM optical systems) and the PhD in Electronic and Communication Engineering in 2002 (with a thesis on the performance analysis of optical communication systems), both from Politecnico di Torino, Italy. In 2000 she was a visiting researcher at University of California at Santa Barbara in the research group directed by Prof. Blumenthal, working on performance monitoring technique for optical systems. From 2002 to 2011, she held a post-doctoral position in the OptCom group at Politecnico di Torino, where she worked as an Assistant Professor from 2011 to 2014. She is currently an Associate Professor in the Department of Electronics and Telecommunications at Politecnico di Torino, teaching classes on signal analysis and processing and working on several research topics related to optical communications. Her main research interests are focused on the performance analysis and design of optical transmission systems and the application of digital signal processing techniques in optical links. Since 2002, she has actively participated in several projects funded by the European Commission (E-Photon/One, Nobel, BONE, and Euro-FOS) and in several research projects funded by national and international companies (Huawei, Cisco, Telecom Italia, ESA). She has coauthored several book chapters and more than 200 peer-reviewed papers in leading journals and conferences. She was one of the winners of the IEEE/OSA Journal of Lightwave Technology “Best Paper Award” in 2014 and 2015. 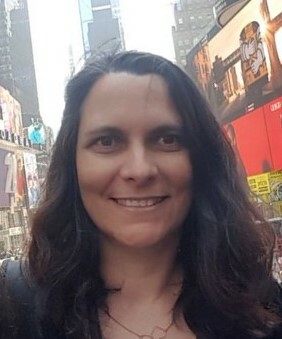 Since 2011, she has served on the program committee of several international conferences, among which the Conference on Lasers and Electro-Optics (CLEO), the IEEE Photonics Society’s Annual Meeting (IPC) and the Optical Fiber Communication conference (OFC), for which she acted as Program Chair in 2017 and General Chair in 2019. She is currently serving as Editor-in-Chief of the IEEE/OSA Journal of Lightwave Technology, having previously served as Associate Editor from 2014 to 2017 and as Deputy Editor in 2018. She was elevated to Fellow of the OSA in 2017 and of the IEEE in 2019, for contributions to modeling and design of coherent optical communication systems.